The iPhone 8 has been called a lot of things for a phone no one has seen yet. Now it can add “THE BANE OF APPLE” to its lengthy list of appellations. Rumors have it that Apple’s iPhone 8 will have a price tag of $999. Although some fans will undoubtedly pony up a grand each, millions will likely shy away. And that could be the beginning of Apple’s end. Can you guess what upcoming device is not mentioned in this piece? If you’ve been reading the Macalope’s columns of late you probably can. It’s the iPhone that Must Not Be Named, the iPhone 7s. Apparently, you see, Apple is only announcing one phone next week: the very ugly, delayed, problematic and expensive iPhone 8. Sherman provides a series of charts to show Apple’s dire situation and, yes, Apple has had a disturbing revenue trend for devices over the past few years. But what’s the German word for showing a lot of charts and then drawing the wrong conclusions? Probably chartenblödenfreude or something. Displayenstrumpfwinkelig. This is an elaborate way to say that the reported $999 price tag, if true, could be brutal for sales. This might be true if this were the only phone Apple was going to introduce next week… but it’s not. And because there will also be an iPhone 7s, with enhanced features and priced at the normal price points, it’s far more likely that Apple will not only be able to increase unit sales by offering a greater breadth of choice, but will also increase revenue by enticing some customers to pay more to get more. 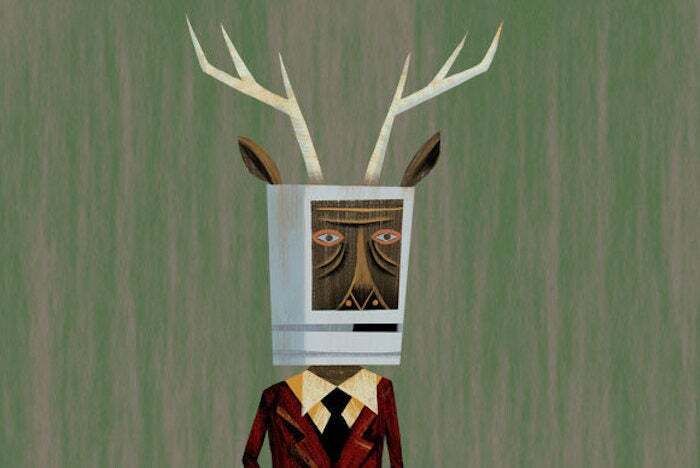 Macalope: The only way you can make this look bad is if you deny the existence of the iPhone 7s. Pundits: Hold my bandolier of beers! China’s consumers are notoriously price sensitive. A sudden jump in the cost could easily set back sales there. Apple has been struggling in China of late but, again, this makes no sense. The Macalope has seen people make the argument that the high-priced iPhone 8 will make people not buy a lesser iPhone because they want the best thing possible and will stay home if they can’t afford it. You’d think people that petty and self-destructive would still be buying Windows Phones, though. As for the U.S., consumers here have been loyal, but even here there is price elasticity. You can’t without restraint continue increasing the price on a good and expect sales to continue apace. How much more performance can you provide? It is astounding how someone can go on and on pretending that anyone who wants a new iPhone this year is going to have to shell out at least $999. At that price, how many people will continue the upgrade march? Perhaps many might, but you can’t safely assume it. IPHONE 7-WHATNOW? I CAN’T HEAR YOU. I HAVE A HONEY-BAKED HAM IN MY EAR. But, wait, didn’t you say in the headline… Oh, whatever. Who even cares anymore? …but not the way it has. Uh huh. Because they introduced a phone at a higher price point. A year after introducing one at a lower price point. The iPhone 8 probably isn’t going to return Apple to the amazing revenue growth it had while the iPhone was taking off, but it’s not going to hurt.